Early August. It’s a time for NBA bloggers to reconnect with family and friends after following the season… and the playoffs… and the Finals… and the draft… and the free-agent frenzy… and Woj bombs about the Clippers playing cards with DeAndre Jordan in the summer’s true blockbuster movie… and the summer league. This is the slow period in the NBA’s calendar year, so it’s the best time to clear out some head space, relax, and — with a fresh mind — revisit the “all-time” conversations in the history of NBA basketball. This piece begins a series of roundtables that will continue on a daily basis through late September, bridging the gap between these dog days of summer and the initial stirrings of the 2015-2016 NBA season. Today’s conversation is about a position that has evolved more than any other over the last 60 years. From thick, barrel-chested bruisers to floor-stretching athletic dynamos, the caliber of a team’s starting power forward can make all the difference in what brand of ball it can play. Golden State just won a title behind the playmaking and defensive interchangeability of Draymond Green; he was a second round pick three years ago. 2015-16 will likely be the final season where Dirk Nowitzki, Kevin Garnett and Tim Duncan — three pioneers of the modern game — are all starters on a NBA team. Let’s explore the history of the incredibly diverse four position. “I shudder to think how we would talk about Nowitzki’s twilight had he not won that title,” wrote Zach Lowe last year. The 2011 NBA Finals functioned equally as a showcase for Nowitzki’s greatness (24 consecutive free throws made; .485/.460/.941 shooting splits with 27.7 ppg and 8.1 rpg) as well as a platform to cast out the demons of playoffs past. But The Big Schnitzel cemented his legacy as one of the most dynamic scorers in basketball history years prior. Studying the astronomical gravity Nowitzki possesses on the floor has influenced a generation of basketball minds. 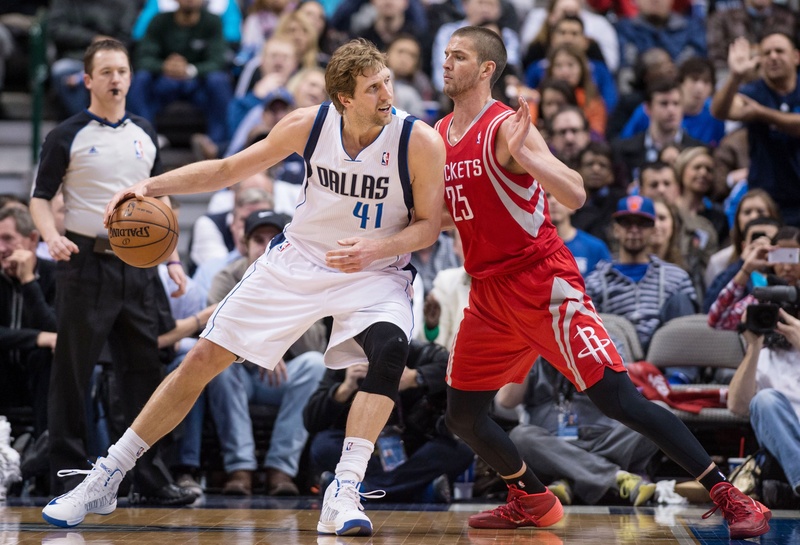 Nowitzki, who is seventh all-time in Win Shares, is one of the most captivating players in NBA history. Let’s watch closely as it won’t be long before it’s all over. Barkley was (maybe) 6-foot-6 and (DEFINITELY) 250 pounds. He wasn’t the most athletic or most agile player. But Barkley is one of eight players with five seasons of 25 points and 10 rebounds — the list of players ahead of him essentially reads like the greatest big men ever. Being the second best player in the world during the prime of Michael Jordan goes a long way to contextualizing Barkley’s absent championship, and his summer with the Dream Team alone is the stuff of basketball legend. Fo’ Fo’ Fo’. Undoubtedly the best player on a title team — when he averaged 24.5 points, 15.3 rebounds and 2.0 blocks — it’s a disservice to Malone that he wasn’t the most famous player on his team (an older, more reserved Dr. J), and that the 1983 Philadelphia 76ers are memorialized as an ensemble team (Mo Cheeks, Andrew Toney, Bobby Jones). (Also working against Moses: he shares the Malone surname with another all-time great power forward.) But Moses Malone was a bad, bad man. He led the NBA in rebounding six times and grabbed 13 or more rebounds in 10 seasons between 1975 and 1985. He’s a three-time MVP winner, and recorded 49,444 minutes. There might not have been three players better during the 1980s. Duncan has been my favorite player since I was a kid, and I’m plenty biased, but Duncan is the ultimate franchise player in team sports. It’s impossible to run out of ways to describe his prodigious longevity — he and Kareem clearly came to us via unidentified flying object. What too often goes overlooked is Duncan’s individual talents: he’s not simply the ideal organization pillar but a two-way powerhouse — an array of unguardable moves and skills, a jumper that stays wet from 18 feet out, and foundational interior defense. He’s second all-time in defensive win shares, and one of six players with more than 200 total win shares. He’ll enter his age 40 season as the starting center on the league’s deepest team; a sixth championship and a ride into the sunset with Manu Ginobili would be all too fitting for one of the greatest competitors in any era. Pettit was the best power forward in the first 20 years of the NBA. He beat Bill Russell and the rest of the Boston Celtics in the 1958 NBA Finals, scoring 50 points in Game 6, which Pettit’s St. Louis Hawks won by a single point, 110-109. That remains the only NBA title the Hawks have won to this day. Pettit played 11 seasons and made the All-NBA team in 10 of them. Darn straight he belongs on this list. Also: No Charles Barkley — conversations with fellow Crossover Chronicles staff writer John Cannon during the NBA playoffs convinced me of the need to make that decision. The lost years in Minneapolis will always make us wonder how great Garnett’s career would have been with a better (and better-run) team. While Garnett’s prime existed in the first decade of this century, his presence as a player remained vibrant into this decade. Garnett’s ability to get inside the heads of the Miami Heat in the 2012 East Finals nearly brought the Boston Celtics a memorable upset. 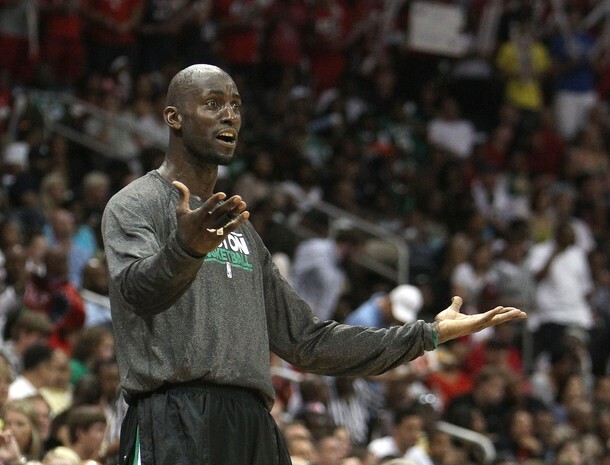 Garnett might have been No. 3 on this list had his team won that series. 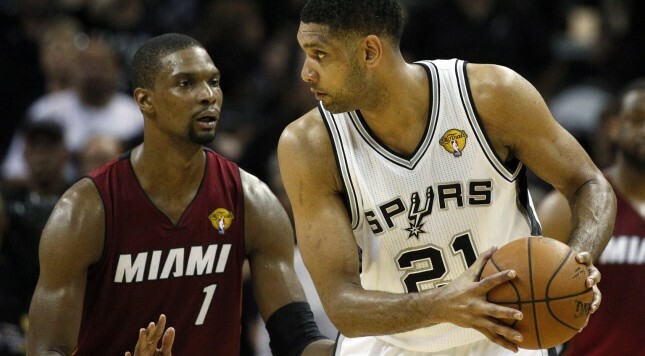 Only Tim Duncan exceeds Garnett as a competitor among the NBA’s best power forwards of all time. The ridiculous consistency Malone generated in a very long career makes it just about impossible to keep him out of the top three. Is he second? Many will put him there, with good reason. You wouldn’t get a strong counter-argument here. However, Malone did have a mental block in the NBA Finals. That’s something he will always have to acknowledge. From Game 1 of the 1997 Finals and his free-throw failure (“The Mailman doesn’t deliver on Sundays,” Scottie Pippen so famously said), to his turnover in the final minute of Game 6 of the 1998 Finals, Malone was not the most reliable Utah Jazz player in those series. John Stockton was. That’s enough to bump him to third. The German with one of the most lethal and unblockable jump shots in the history of basketball was accompanied by Steve Nash and Jason Kidd — he was blessed with great point guards. However, Nowitzki was simply not surrounded by elite talent at the other three spots on the floor for most of his career. What Dirk has done in spite of constant roster limitations is enough to put him second on this list. It’s an underappreciated aspect of his career, though the coming season in Dallas might make it more of a discussion point. Is it the championships, the selflessness, the ability to work well with teammates, the quiet leadership, the wing bank shots, the sound positional defense, or the defiance of Father Time that make Tim Duncan the best “four” in NBA history? Yes. Yes is the answer you are looking for (but defying Father Time is probably the next-best answer).